Bound Angle Pose or Baddha Konasana is popularly known as the cobbler pose. This yoga position is hip opening. It allows you to expand the knee muscles and inner thighs. It is therapeutic to the groin and can help boost your fertility. This asana actively stretches your knees and groin area. Sit and bring your feet towards your groin. Keep the soles of your feet together and allow the knees to gently fall away. Exhale, hold your feet and slowly lower forward as far as you can comfortably go. Gently press your elbow into your thighs so that your hips can open a little more. Release after 5 to 10 breaths. Finally, stretch your legs out and gently shake them. Sit on a blanket if you find it difficult to come forward. You can just place your hands on the floor and slightly behind your hips. Just in case your knees get hurt, you can place a block support under them or you can simply move your feet away from your body. 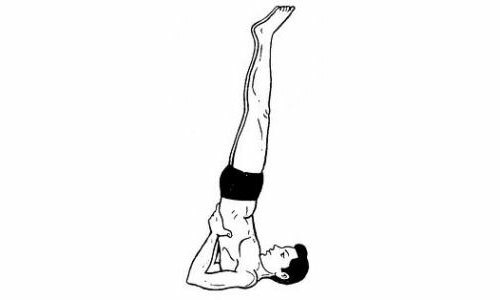 This yoga pose can help relieve discomforts in menstruation and improve the functioning of your digestive system. Moreover, this is very good for strengthening and stretching the spine. It also stimulates the reproductive organs. 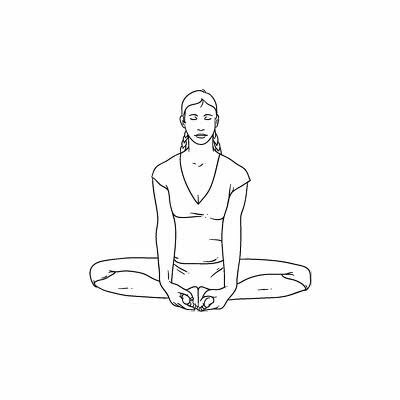 You can simplify this pose by just pressing down your legs for each exhalation and then releasing your legs for every inhalation. You can make transitions to Supta Baddha Konasana by walking your hands behind you and lowering your back on the ground or on to a bolster. In the practice of Bound Angle Pose or Baddha Konasana, make sure to avoid overstretching the inner thighs. There are also cautions for people with the knee injury.